Look Magazine featuring patterns and floral Inkwear. Company magazine with temporary tattoos from our lace & bows section. SJP wearing Chanel’s ‘Trompe L’oeil’ transfer tattoos. 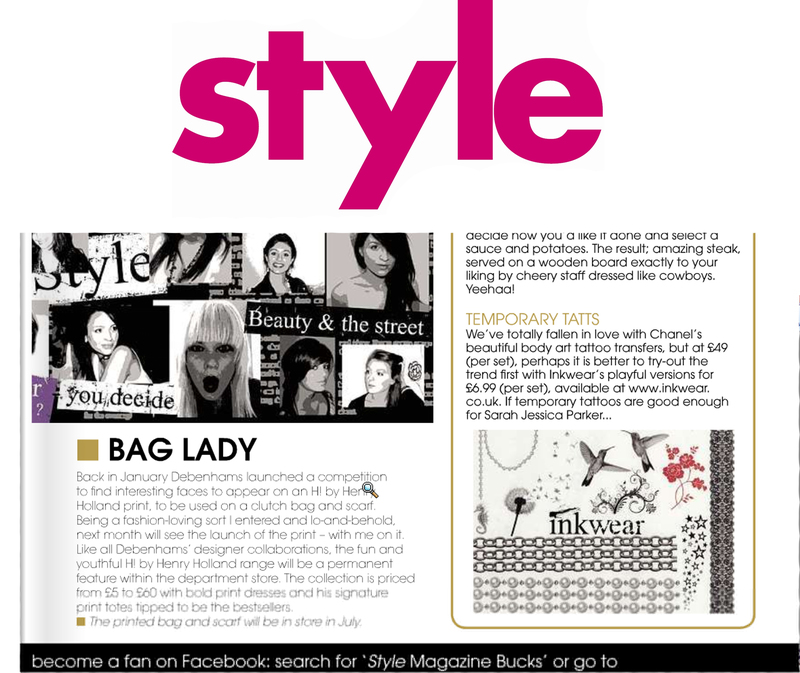 Style magazine with our jewellery set of transfer tattoos.